A practical transport tool for transporting and storing table tennis. On this trolley, a total of 4 table tennis tables can be completely stored and transported. 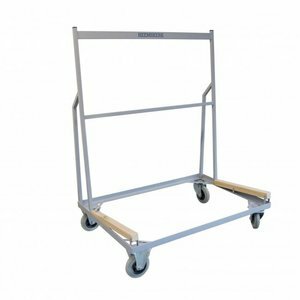 This table tennis transport trolley is hand made from Dutch make. Especially suitable for associations and companies that often have to play table tennis tables on the side. Bolderweg 37 A / B - 1332 Az Almere outside.